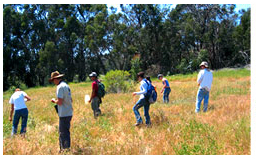 The Cheadle Center for Biodiversity and Ecological Restoration hosts UC Santa Barbara undergraduate and graduate courses and hosts public tours, workshops and seminars. Our seminars, tours and workshops are always open to the public, but preregistration may be required. Keep informed about CCBER events through our Calendar and CCBER News. 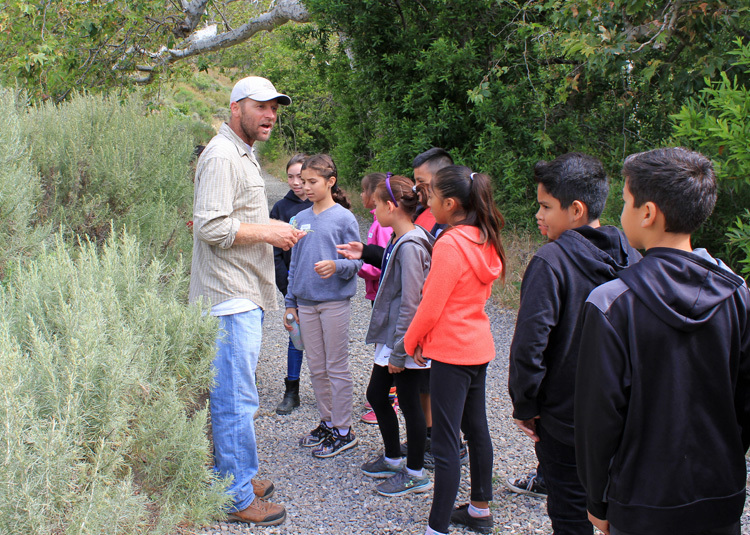 The Kids in Nature Environmental Education Program promotes the aspirations and achievements of students in underserved schools in Santa Barbara and Goleta by providing quality environmental science education and experiences through field trips, the KIN Science Education Practicum course, tours, and many other hands on activities that bring K-12 students to nature and UC Santa Barbara. The Restoration Ecology Seminar Series is a topical series that is available for credit to UCSB students and is open to the public. Meeting Monday evenings from 6-8 during Fall, Winter and Spring quarters. Seminars feature guest lectures by research scientists, land managers, policy analysts, and community leaders and tours of local restoration projects. Please check the CCBER blog and calendar for speakers. CCBER’s Curation of Natural History Collections Course (EEMB/ES 96) offers students an introduction into specific areas of museum curation. The course meets once each week to focus on various aspects of museum curation, such as the importance of collections, documentation, methods of preservation, identification, taxonomic nomenclature and labeling, and cataloging specimens. 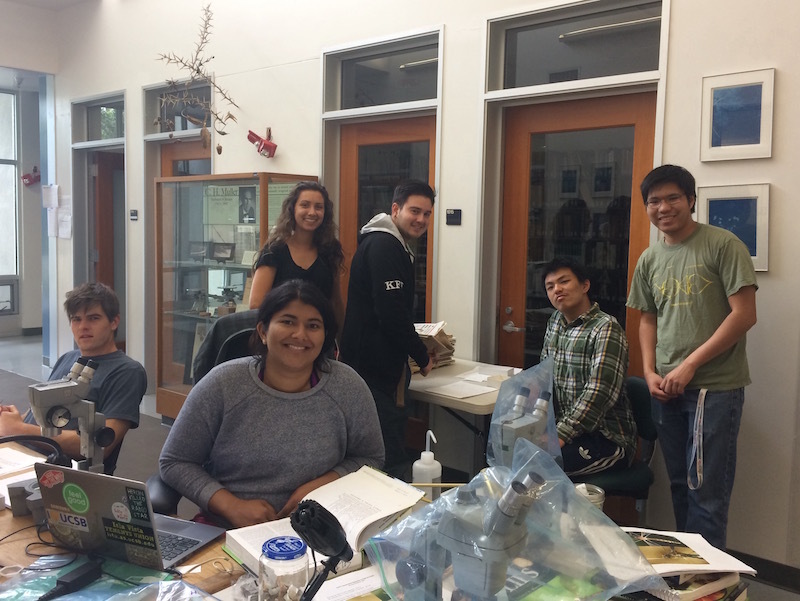 During the quarter, students have the opportunity to prepare and process a variety of specimens using several different methods of preservation. 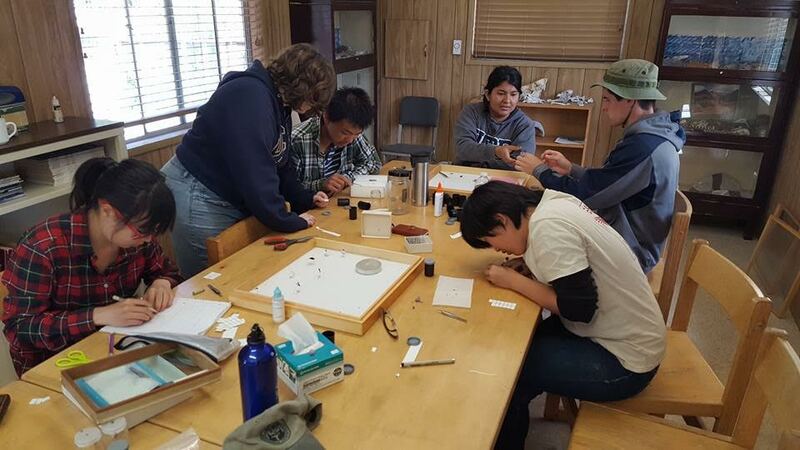 Students also went out to collect specimens in the field and learned the importance of collecting voucher specimens, which are specimens that serve as basis for a study and are retained as a reference. As incorrect or unresolved identifications can lead to misleadingconclusions, the collection of voucher specimens is an important part of scientific research. 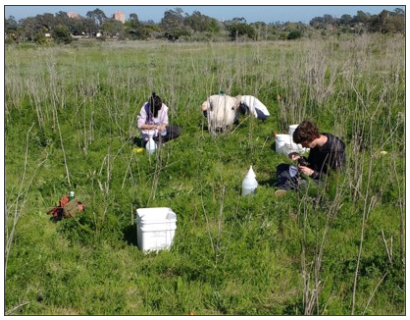 Join us for an introduction to restoration ecology with hands on restoration of UCSB campus natural areas for local plants and wildlife. Classes are currently offered during the Fall, Winter and Spring quarters. Students will gain valuable hands-on field experience restoring native wetland, coastal sage scrub, grassland, and oak woodland habitats. Learn about local plants and animals, earn course credit, meet environmental professionals in your community, and enjoy a beautiful outdoor working environment! Each week throughout the quarter will focus on a specific restoration theme. Students will have the opportunity to visit multiple restoration sites, gain hands-on experience and learn from all the CCBER staff throughout the quarter. Below are the topics, schedule, and meeting locations. In the Restoration Ecology Internship Program, students and volunteers learn restoration site design, implementation and maintenance techniques, native plant horticulture, plant and animal identification skills, seed collection and ecological monitoring protocols. 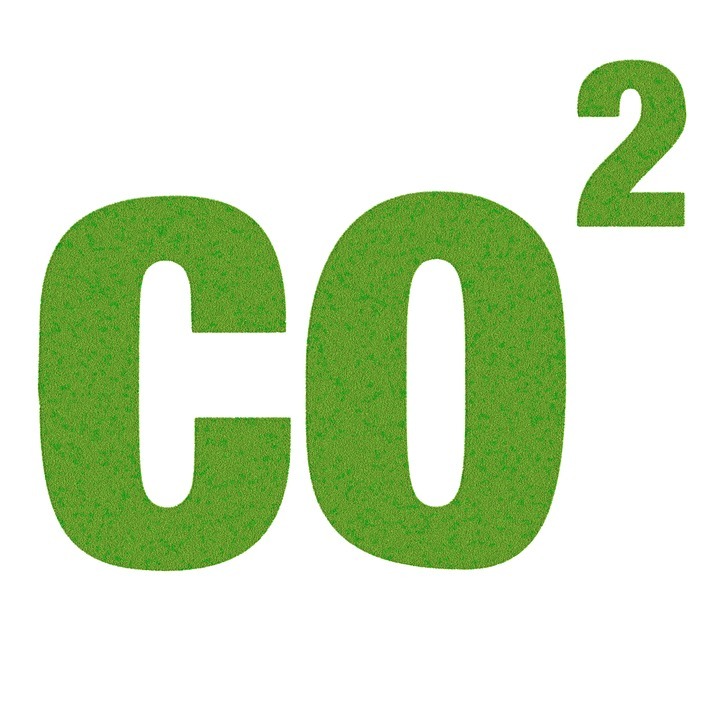 Prior completion of the Ecological Restoration Field Skills Course (EEMB/ES 95) is required in order to qualify for a stipend internship. Students may opt for a for-credit or volunteer internship without the requirement of completing EEMB/ES 95. Are you interested in natural history collections or museum studies? We welcome students to learn about collections and collection research through hands on experience in our collections and individualized research projects for motivated students. UCSB students can receive credit for the internship through their academic department, and we take volunteers from the UCSB and local community. 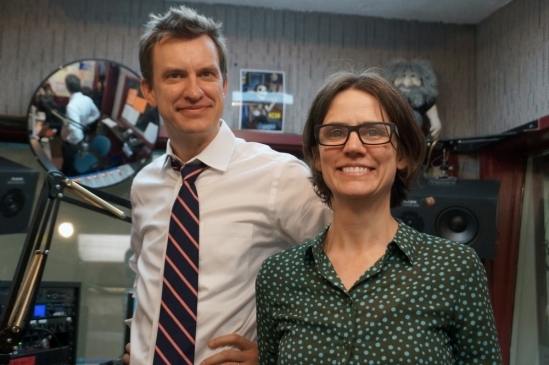 Join a weekly radio hour about current events in science with Yon Visell and Katja Seltmann (CCBER Director) as we discuss new findings from across the world of science and the music they inspire. On KCSB 91.9 FM in Santa Barbara, streaming online at www.kcsb.org, and archived here. Visit us on Facebook at Unknown Territories Radio. Yon Visell is faculty member in the UCSB Media Arts & Technology Grad Program, Departments of Electrical and Computer Engineering and Mechanical Engineering. Broadcast on KCSB 91.9 FM and KCSB.org. Follow the live playlist here.